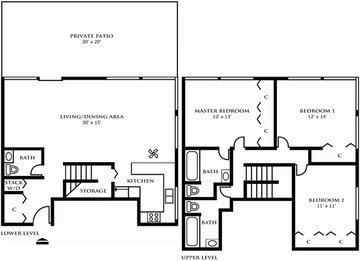 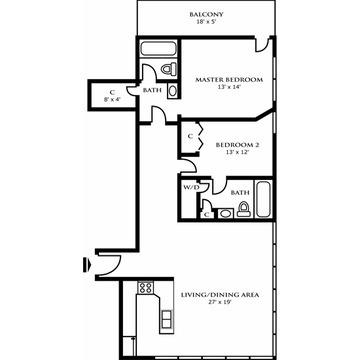 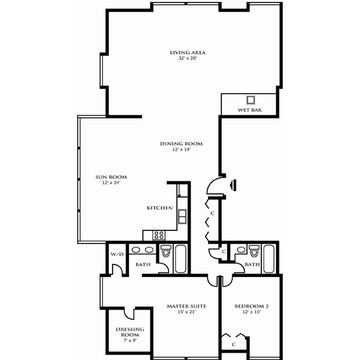 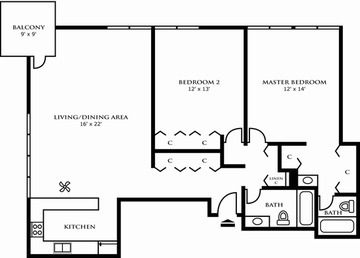 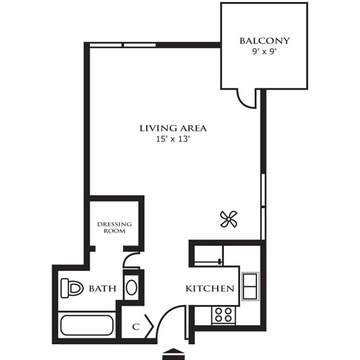 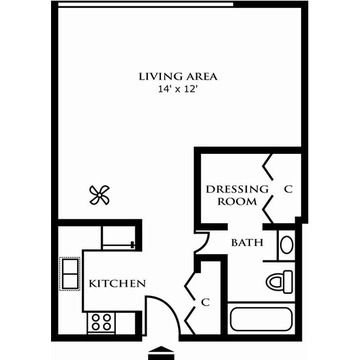 The Studio Design C boasts an open living and dining room area. 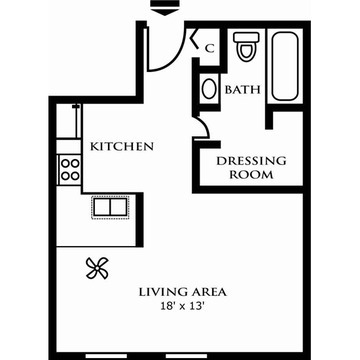 The cozy kitchen is open to the hallway and entry coat closet. 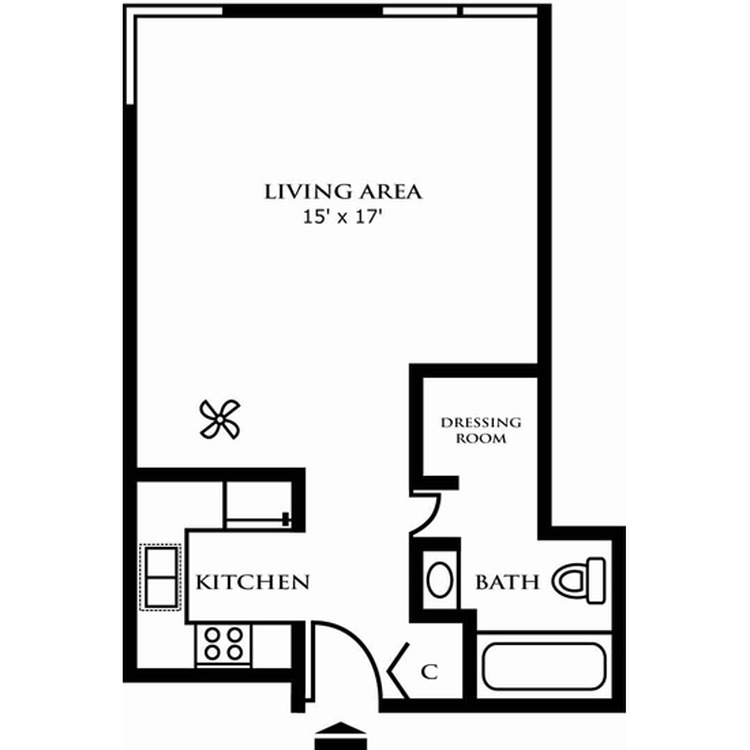 You have several options of floors to choose from the 4th through the 16th.